An ambitious citizen campaign called Reforest Patagonia is hoping to plant one million trees in Chilean Patagonia in what has been considered the largest, most ambitious native tree reforestation campaign in the country’s history. Chile was ravaged by wildfires in 2011, so the project hopes to repopulate the country’s six national parks and reserves. The nonprofit, public-private campaign is intended to promote the country’s national tourism as well as develop the protection and conservation of national forests and parks. In order to raise money, the project leaders have set up a virtual forest platform where people can donate $4 per tree. “In the past 100 years, more than 7.5 million acres of native forest in this area have been destroyed by fire and human intervention. 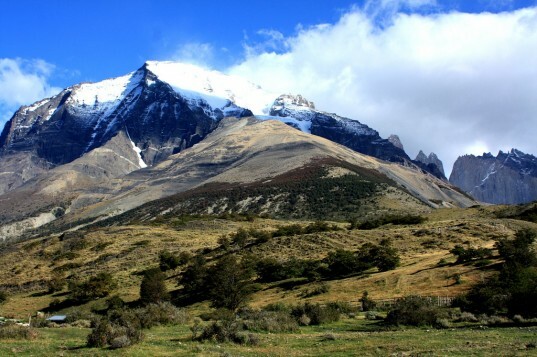 The worst episode occurred in December 2011, when a fire burned 42,500 acres in Torres del Paine National Park―images that profoundly impacted Chile’s citizens and motivated this native-tree reforestation campaign,” explained Matías Rivera, executive director of Reforest Patagonia. displays the exact location where their trees will be planted. 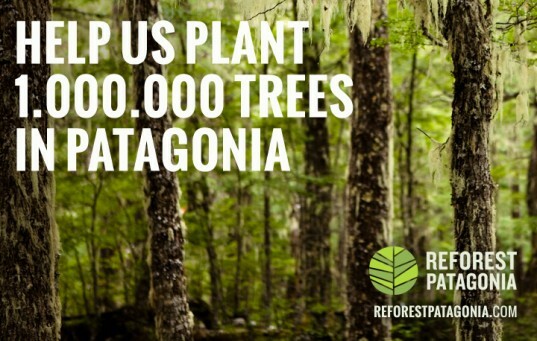 The campaign has drawn support from many national companies including LAN Airlies, Coca-Cola, Falabella, Cuprum, and Rockford, all of whom have volunteered to be Reforest Patagonia’s five Founding Companies—with each group contributing 10,000 trees to the effort. “Reforest Patagonia is a sincere campaign—nonprofit, open, and positive, and its success will be determined by our capacity and the capacity of everyone involved to promote it through social networks and mass media―to raise awareness of a cause whose spirit rests in every person’s motivation to buy a tree that replaces those that have burned. Build your own forest, or give a tree as a birthday or anniversary present―because you love Patagonia, because you want to combat global warming, or simply because it is a noble cause,” explained Rivera. An ambitious citizen campaign called Reforest Patagonia is hoping to plant one million trees in Chilean Patagonia in what has been considered the largest, most ambitious native tree reforestation campaign in the country's history. Chile was ravaged by wildfires in 2011, so the project hopes to repopulate the country's six national parks and reserves.